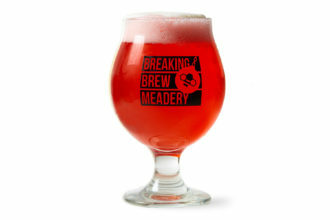 Breaking Brew proves the honey-based beverage isn’t only autumnal. 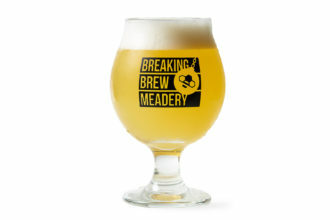 What began as a 21st birthday gift has become a full-time business venture for Gary and Blake Gordon, the founders and brewmasters behind Breaking Brew Meadery. 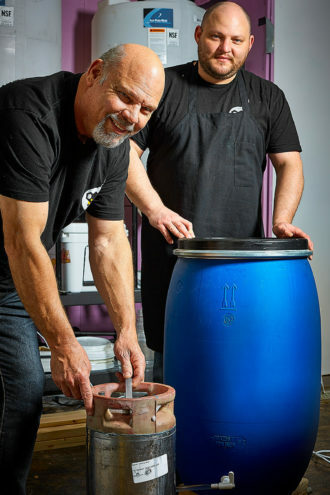 After five years spent honing their home-brew skills with the beer-making kit that Gary gifted his son, Blake, the duo desired a new challenge. They began making mead, an ancient beverage that looks like beer but brews like wine, fermenting honey rather than grain or fruit. By 2013, they decided they had a beverage worth entering in the niche market. “At the time, there were only 60 meaderies in the country, but we noticed a growing trend,” Gary says. He and Blake attended the first American Mead Makers Association meeting in Denver in 2016, and they opened their industrial-chic space on Midway Road in Farmers Branch two years later, in September, with five distinct flavors on tap. Theirs is the only meadery that they know of in North Texas. Father knows best: Gary Gordon gave his son, Blake, a beer-brewing kit for his 21st birthday. Now the duo is brewing beer’s historic precursor, made from fermented honey. Each of their brews begins with wildflower honey sourced from Rogers, Texas. “We warm the honey up to about 100 degrees to get it very viscous,” Gary says. It is then mixed with water that is carefully filtered to ensure the proper mineral content. A gravity pump moves the diluted honey mixture through a vessel that oxygenates and prepares it for its encounter with the yeast that will ignite the fermentation process. The brew ferments for approximately two weeks before it is moved into barrels for a secondary fermentation, at which point other flavors, often sourced in Texas, are added. “We use rinds, peels, and zests, so we don’t want anything that’s not certified organic,” Gary says. During the two weeks of secondary fermentation, the brew’s alcohol notes are muted and the additional flavors mature. Then the mead is filtered and moved into kegs where it cools and continues to age for another two weeks before it is ready for consumption. All of the Gordons’ meads are light and dry despite their sweet, wildflower-honey origin. Like wine vintages, a mead’s flavors may vary across several years of brewing. “You could drink a mead, and just like a wine, one year it’s going to have a specific taste to it and the next batch that you make could have a slightly different taste, even though it’s all the same wildflower honey,” Gary says. 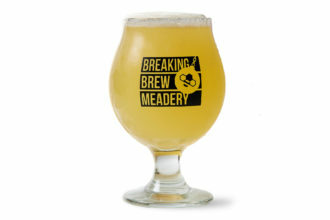 As session meads, each brew contains 6 to 8 percent alcohol, a lighter dose than a traditional mead at 10 to 12 percent, and is lightly carbonated. Visitors to the meadery can leisurely sip on single 12-ounce pours or sample the Gordons’ five standard brews and rotating seasonal flavors in flights of four. 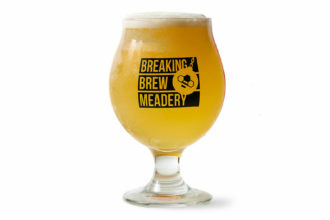 Mead can also be purchased to go in growlers or cans. Oyster crackers are provided to help mead tasters cleanse the palate, and those who desire more hearty accompaniment can bring their own food. These five brews, made of honey and spice and everything nice, are perfect for spring sipping. It smells like jalapeño, but tastes more like lime. The citrus mellows out the heat in this refreshing brew. This semi-tart raspberry brew sells best in winter, but its light, fruity flavors make it equally enjoyable in warmer weather. The meadery’s bestseller appeals to those seeking a lightly spiced flavor complemented by hints of lemon and lime. Brown sugar notes ease the finish. Texas-sourced ruby red grapefruit offers tartness without overpowering the lightly bitter and citrus elements provided by hops. Beer drinkers will enjoy this basic brew that showcases traditional wildflower honey flavors without being overly sweet.